Yesterday I did not quite reach Redpoint so I walked back to where I finished yesterday. As I walk towards the sandy hued beach of Redpoint I pass remains of an old salmon fishing station where just the end stone walls of the building are still standing. 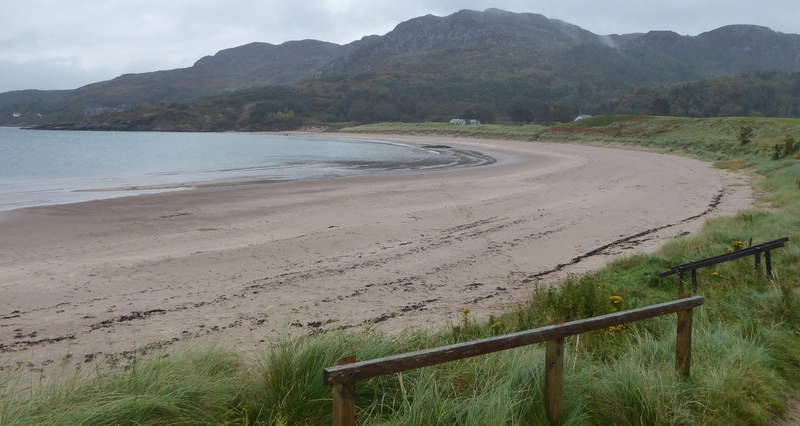 The beach is set against the backdrop of the mountains of the Isle of Skye .Joined to the beach is Eilean Tioram a small grass covered island which can be reached at low tide. I make my way along the road past South Erradale and Opinan. I come to Port Henderson with its untamed coastline. The rocks and shore seem ideal for fishermen to land Pollack and Mackerel. I come across a house called Chrissie’s Croft and wonder whether my wife, Christine has set herself up with a bolthole. Charlestown is also known as Gairloch Harbour which housed the areas fishing fleet. Today the catch is mainly crabs, lobster and prawns. 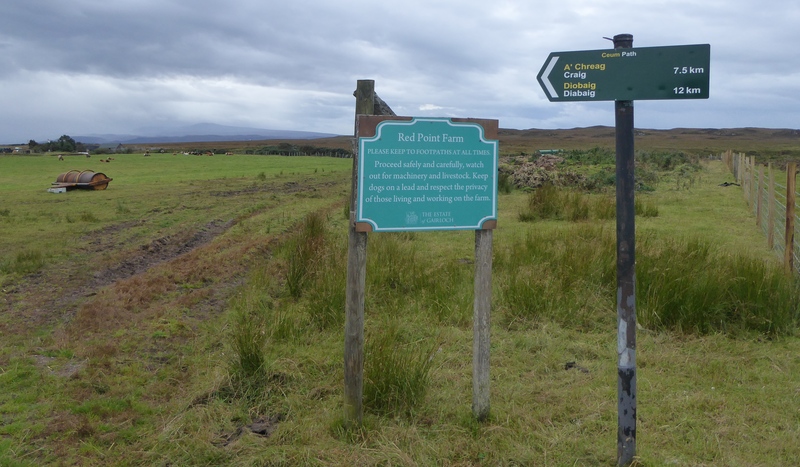 During the highland clearances, the MacKenzie family, local landowners refused to evict their tenants who were essentially crofters rather than fishermen. The Gairlock Heritage Museum takes you on a journey through time showing how the locals lived and worked. I walk up An Ard a birch and shrub covered hill with splendid views over Loch Gairloch and then along the beach to Gairloch. 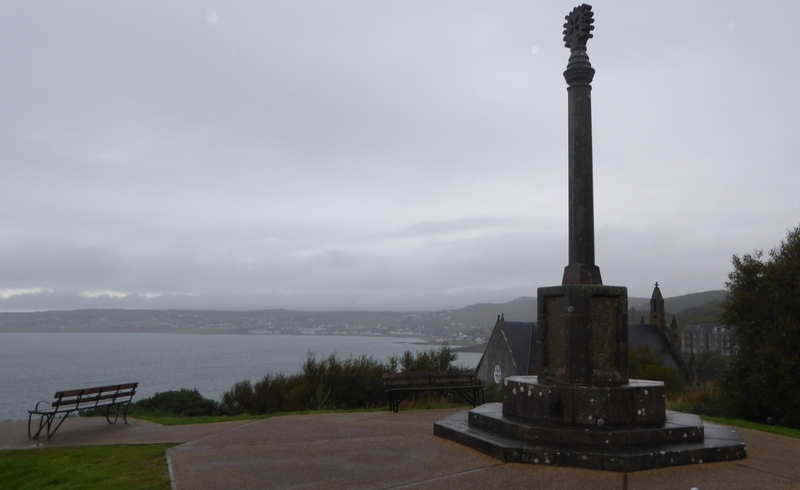 This entry was posted in Highland, Scotland and tagged Coastal Walking, Gairloch Heritage Museum, Walking. Bookmark the permalink.